Women are very bad a tooting their own horn, shining a light on their amazing accomplishments and asking for a rise or a promotion – so now is the time to step up and be seen , heard and most of all paid for your work. 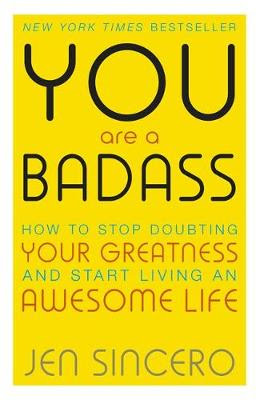 At the moment there are lots of amazing inspiring women writing books, mentoring, inspiring and coaching through the pages of their books. It is never too late to reinvent yourself or step up & be fearless. Be inspired to take the next step to a new career or work attitude. 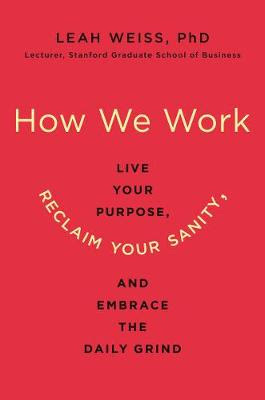 A practical guide to bringing our whole selves to our professional work, based on the author's overwhelmingly popular course at the Stanford Graduate School of Business. In today's workplace, the traditional boundaries between "work" and "personal" are neither realistic nor relevant. From millennials seeking employment in the sharing economy to Gen Xers telecommuting to Baby Boomers creating a meaningful second act, the line that separates who we are from the work we do is blurrier than ever. The truth is, we don't show up for our jobs as a portion of ourselves-by necessity, we bring both our hearts and our minds to everything we do. In How We Work, mindfulness expert and creator of the perennially-waitlisted Stanford Business School course "Leading with Mindfulness and Compassion" Dr. Leah Weiss explains why this false dichotomy can be destructive to both our mental health and our professional success. The bad news, says Weiss, is that nothing provides more opportunities for negative emotions-anxiety, anger, envy, fear, and paranoia, to name a few-than the dynamics of the workplace. But the good news is that these feelings matter. How we feel at and about work matters-to ourselves, to the quality of our work, and ultimately to the success of the organizations for which we work. The path to productivity and success, says Weiss, is not to change jobs, to compartmentalize our feelings, or to create a false "professional" identity-but rather to listen to the wisdom our feelings offer. Using mindfulness techniques, we can learn how to attend to difficult feelings without becoming subsumed by them; we can develop an awareness of our bigger picture goals that orients us and allows us to see purpose in even the most menial tasks. In How We Work, Weiss offers a set of practical, evidence-based strategies for practicing mindfulness in the real world, showing readers not just how to survive another day, but how to use ancient wisdom traditions to sharpen their abilities, enhance their leadership and interpersonal skills, and improve their satisfaction. Following the success of Girl Code, a book encouraging women to support each other in the business community, master life coach Cara Alwill Leyba shows her many fans how to take the next step: to build confidence from the ground up. 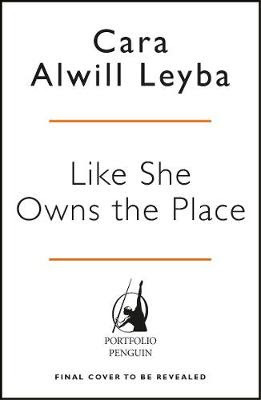 Written in her accessible, inspirational style and full of revealing stories from every stage of Leyba's life, Like She Owns The Place will help readers rewire their minds to be more confident and encourage them to go after the life they've always wanted and deserve. Adventures in advice with some of the world's most remarkable people.Including: President Bill Clinton, Clare Balding, Bill Gates, Stephen Fry, Dame Judi Dench, James Corden, Margaret Atwood, Sir David Attenborough, Annie Lennox, Andy Murray, Joanna Lumley, Sir Richard Branson, Sandi Toksvig, Jude Law, Nicola Sturgeon, Harry Belafonte, Olivia Colman, Simon Cowell, Bear Grylls, Diana Athill, Jo Malone, Heston Blumenthal, Nitin Sawhney, Katie Piper, Richard Curtis, Shami Chakrabarti, and Michael McIntyre.If I Could Tell You Just One Thing... is not only packed with great advice but is also enormously entertaining, brilliantly written and stunningly designed. From advice on work and relationships, to creativity, spirituality and survival, there are words in these pages that will comfort, motivate and inspire. The modern playbook to finding the perfect career path, landing the right job, and waking up excited for work every day, from founders of online network TheMuse.com. 'In today's digital age, finding job listings and endless data about those jobs is easy. What's difficult is making sense of it all. With The New Rules of Work, Muse founders Alexandra Cavoulacos and Kathryn Minshew give us the tools we need to navigate the modern job search and align our careers with our true values and passions.' Arianna Huffington, Founder and CEO Thrive Global, NYT Bestselling author In this definitive guide to the ever-changing modern workplace, Kathryn Minshew and Alexandra Cavoulacos, the co-founders of popular career website TheMuse.com, show how to find your perfect career. Through quick exercises and structured tips, the authors guide you as you sort through your countless options; communicate who you are and why you are valuable; and stand out from the crowd. 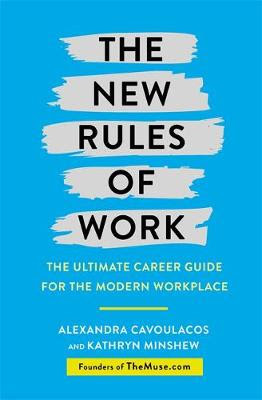 The New Rules of Work shows how to choose a perfect career path, land the best job, and wake up feeling excited to go to work every day-- whether you are starting out in your career, looking to move ahead, navigating a mid-career shift, or anywhere in between. What does success look like? 5AM conference calls and late nights in the office? Winning every argument in the office and always getting your own way? What does a successful woman look like? The shoulder-pad wearing Alpha? The dogmatist who rules with an iron fist? The reality is far more nuanced. Yet women are still reduced to Alpha boss, or the Beta secretary or assistant but when 47% of the workforce are reduced to two unhelpful stereotypes, how can you embrace your inner Beta and be a success on your own terms? It's an important question because the world is changing, fast. Successful companies need people who can lead with emotional intelligence, be flexible to new ideas and adapt their plans when required, leaving their ego at the door. The Beta woman's time is now. Beta celebrates the collaborators, the pragmatists, and the people who believe that being nice works and getting your own way isn't always the most important thing. 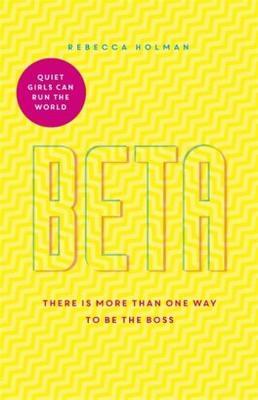 It explores the unsung workforce of Beta women who are being great bosses, great leaders and are still living their own lives: having relationships, making time for friends, having families. 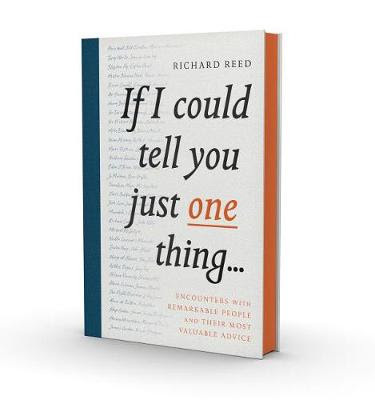 Fully researched and rich with interviews, anecdotes and case studies, Beta will be a smart and entertaining read that really explores the role of women in the workplace today. We all have good days and bad days at work. Some days you feel bullet proof. People listen to you, your meetings run like clockwork, and you keep having new ideas. Other days are like wading through quick sand. You can't get anything done, and when the printer jams (again) you want to quit. Wouldn't it be great if every day went your way? If you jumped out of bed every morning ready for anything? You can stand out, break the rules and make things happen. 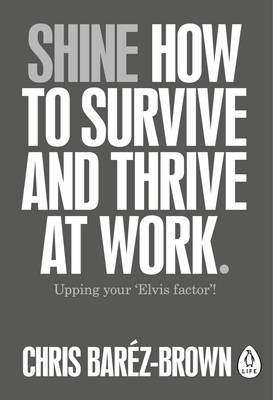 You can be a bit more 'Elvis'. You can love every minute. The only limit is you: your energy, your belief, your perspective.